THIN Nominated for a Ghastly Award! Jon Clark’s harrowing tale of weight loss gone wrong joins titles from Dark Horse, Image, and Alterna Comics in the “Best Limited Series” category. The 2016 Ghastly Award Nominees were announced today, and AGP is incredibly proud to be included in the BEST LIMITED SERIES Category for THIN! We’d also like to point out that THIN is in the company of AGP alum and scribe extraordinaire Paul Tobin (who gave us GUNSUITS and BORNHOME)! Other nominees in the various categories include LOST IN SPACE‘s Patrick McEvoy for Best Inker and Best OGN, TALES FROM THE ACKER-MANSION contributors Cullen Bunn (Best Writer, Best Ongoing Title, Best OGN) and John Carpenter (Best Anthology), and MONSTER WORLD‘s Piotr Kowalski (Best Cover)! AGP would like to extend our gratitude to the Ghastly Awards and invite you to check out the myriad of other awesome titles on their nomination roster. 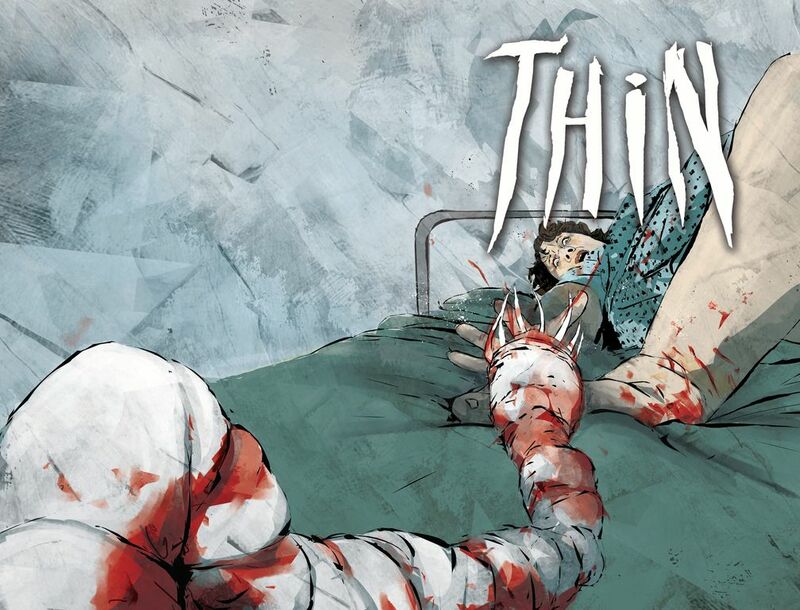 THIN is available now at CaptainCo and at comiXology in both trade and single issue format! All Nominees were selected from work that was submitted by Publishers and Creators throughout the calendar year for Ghastly Award consideration.